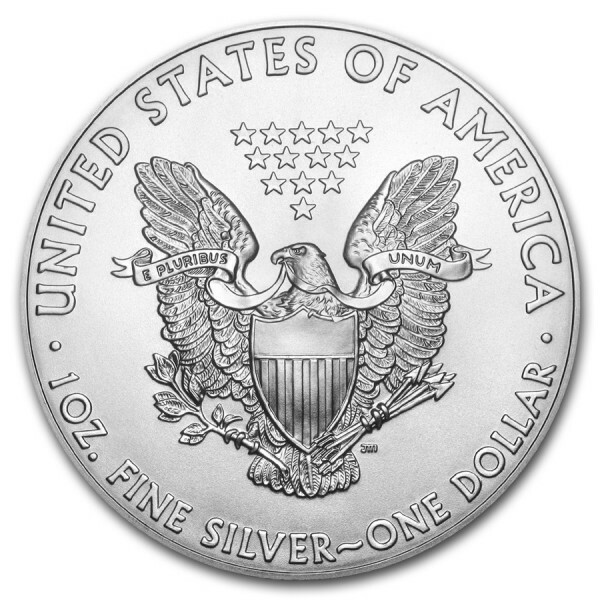 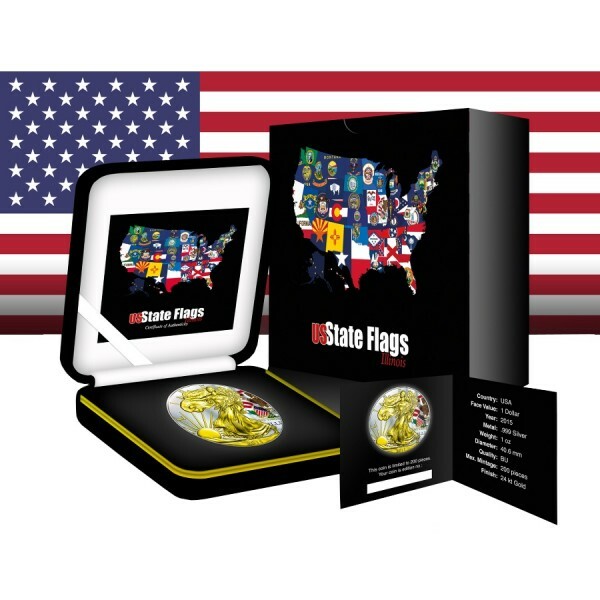 With 1 oz of pure U.S. Silver and a beautiful patriotic design, the American Silver Eagle has become the most popular bullion piece in the United States. 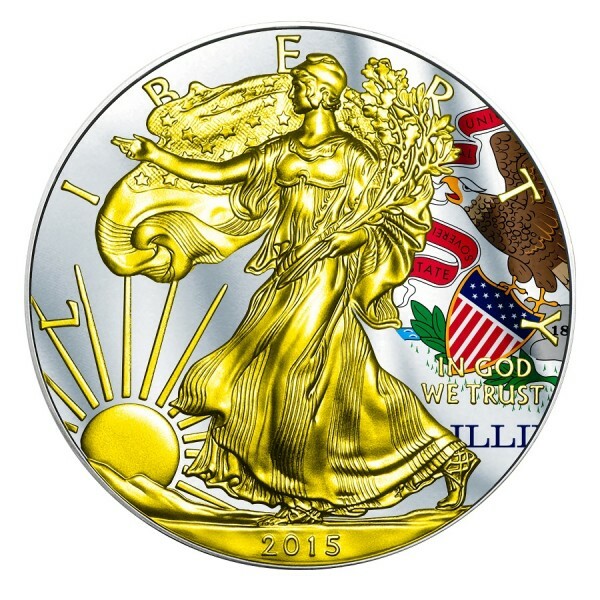 This stunning 2015 1 oz Silver Eagle captures the radiating beauty of Lady Liberty. This beautiful piece issue features the Walking Liberty partly plated with Pure Gold and the Illinois flag is fully colored.